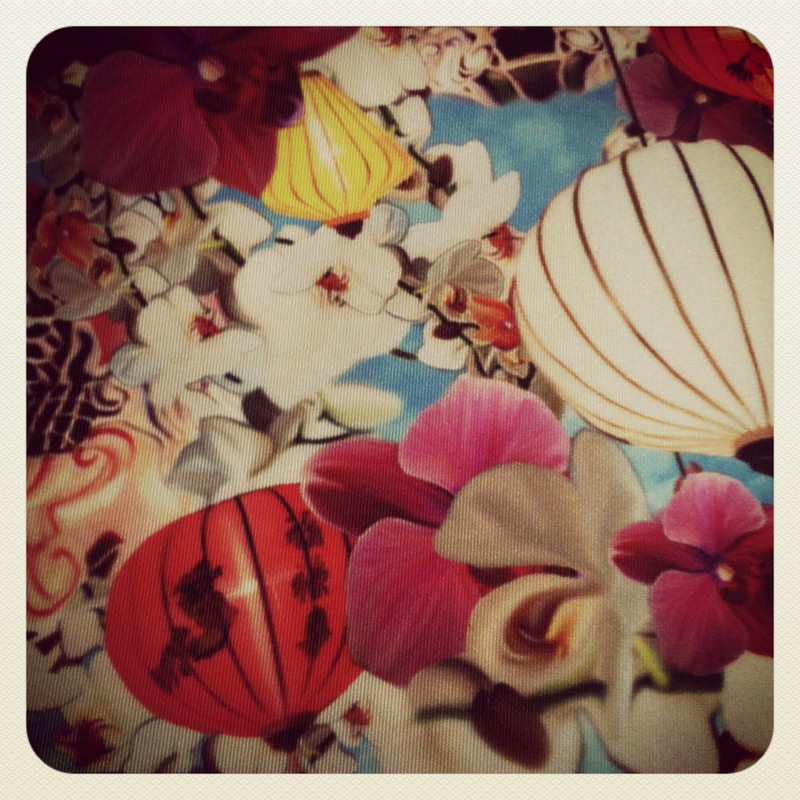 I’ve been a fan of Mary Katrantzou for a long time now and so when I heard she was collaborating with Longchamp, another firm favourite company of mine, it felt like a match made in heaven. I’m a bit feeble when it comes to wearing bold print or pattern in my clothing, as much as I adore to see it, so having a bag with a bold print on seemed like a great way of brightening up my wardrobe without taking that final brave step of really wearing it! Although, having said that, I have got bolder in my clothing choices, which I will tell you about in a blog post another day soon, I promise. I bought this bag, which is the fourth of my little collection of Longchamp bags. I love my ‘Le pliage‘ range of nylon bags. Many of them fold up so they’re great for travelling and they’re robust enough to use all the time. Over the years, I’ve used them for a variety of things, from city breaks to nappy bags (the glamour…) and they’ve all lasted really well. It has a Chinese lantern print on it, which you can see more clearly in the photo below and the handle is long enough to carry over your shoulder. It’s a bit larger than I was expecting (my maths isn’t great and I ordered it online!) so it will have a slightly different use than I originally intended – it’s my carry-on luggage for my Italy trip. As I have the Cambridge Satchel for everyday, this one will be reserved for overnight trips or longer days out. 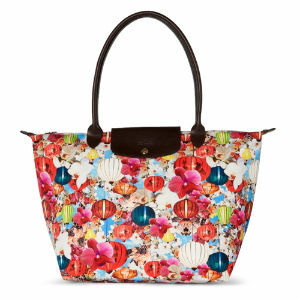 One Response to A New Bag: Mary Katrantzou for Longchamp.